"New Santa" for Audi is spreading around the world as Audi’s most shared video on Facebook, and on track to rival our Spiderman film for the most liked Audi content in the world on YouTube. Staples faced one of their most challenging business environments yet, and pulled off a great back-to-school season, scoring #1 on the You.Gov ranking of most effective commercials. AAA Insurance put super-well integrated work in far-flung states across the US, while Xoom by PayPal pulled off the most cross-cultural, global launch in their history. 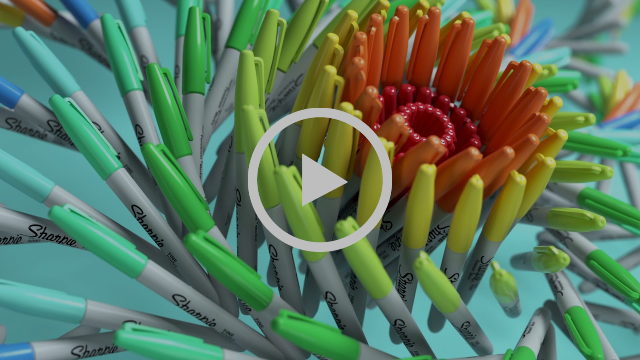 Meanwhile you should be seeing cool new creative work coming along for Amazon Prime Video and StubHub. Internally, we’ve also made a huge stride. 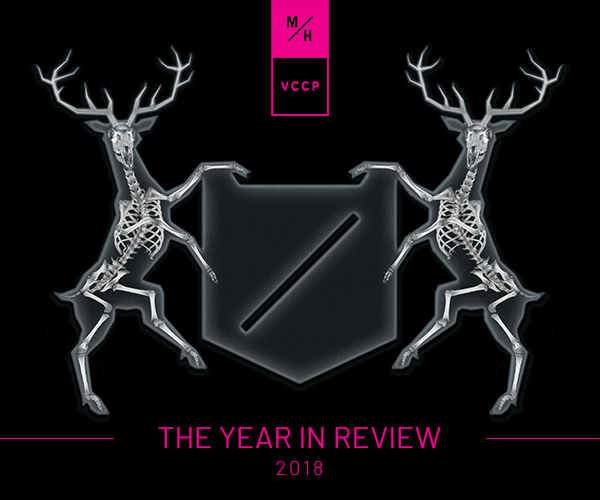 We’ve gone from calling ourselves MUH-TAY-ZIK | HOF-FER to the slightly less confusing M/H VCCP in our North American offices. 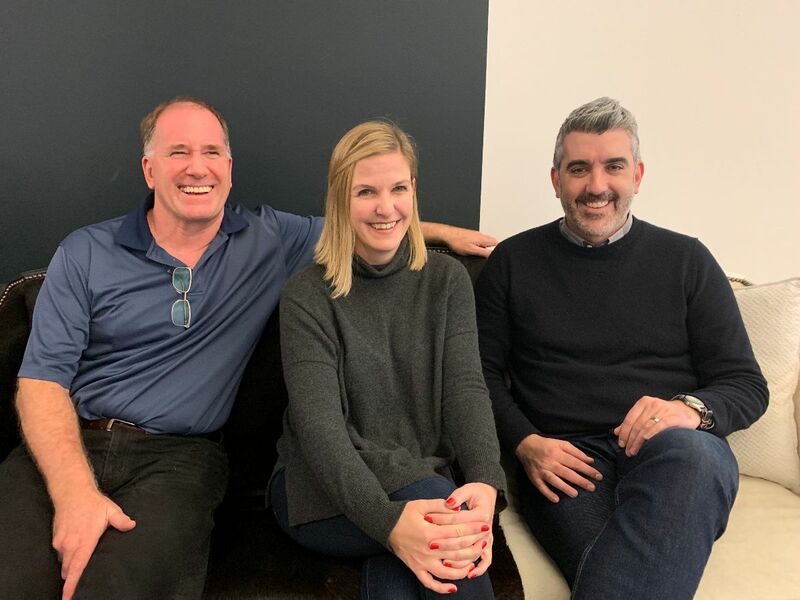 We’re more tightly integrated than ever with our VCCP partners in London and around the world, developing work together for Pennzoil and Quaker State out of our New York office, as well as T-Mobile in Seattle. Phew. Take a breather friends! Let’s get back at it together in 2019. The holidays are a time where we pause, reflect, and take stock of the year. We set new goals of who we want to be and what we want to do. For a brand like Audi, which prides itself on progress and transformation, the holidays are also a time to make a statement. And nothing makes a statement like completely reinventing a 1748-year-old icon from the boots up. In our short film directed by Craig Gillespie (I,Tonya, Lars and the Real Girl), Santa re-evaluates his life over the past two millennia. Inspired by the new RS 5 Sportback, Santa undergoes a year-long reinvention. He changes his wardrobe, his hair, his jolly bowl full of jelly. And while the hard work is its own reward, Mrs. Claus and the elves have a little surprise in store for him, too. The back-to-school season can be chaos for families. There’s the danger of not knowing new teachers or classmates. The hectic craziness of supply lists handed out at the last minute. Teenagers…just generally being teenagers. What parents want most, is a bit of reassuring calm to help them navigate the end-of-summer supply waters. Enter Staples. Unlike competitors (who said Target, not us), Staples doesn’t just stock up on school supplies for limited seasonal runs. They excel at supplies All. Year. Long. And that expertise makes them the perfect brand to soothe parents’ back-to-school blues. Not just with great deals and always in stock supplies, but with beautiful, calming, colorful messaging designed to relax as much as inform. Soothe as much as sell. Shine as a beacon of serenity amidst the back to school storm. The work featured a new positioning and visual identity for Staples across TV, in-store signage, digital, and social. Staples achieved the largest in ad awareness of all advertisers for the month of August among US consumers of all ages -- including parents of shopping for back-to-school supplies reported by YouGov) -- as well as beat sales forecast and margins for the highly competitive back-to-school season. 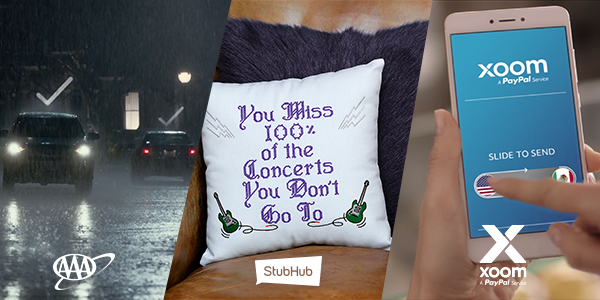 We couldn't end the year without also sharing the work we did for AAA, StubHub, and Xoom. 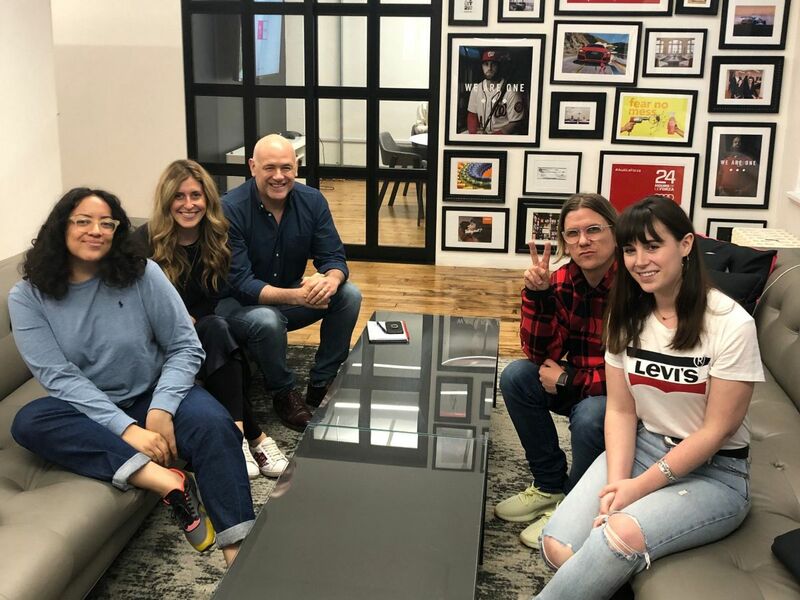 2018 saw growth in our New York office, with Managing Director, Matt Dowshen; Chief Strategy Officer/NY, Jonny Shaw,; Account Director, Danielle Shedletzky; Account Manager, Esther Azagury; and Brand Strategist, Marianne Bellorin. And in San Francisco, the addition of a North America Chief Financial Officer, George Joost; Director of Marketing, Alexis Lovett, and Brendan Robertson, Chief Strategy Officer/SF. Matt joined us with over 20 years of integrated marketing and agency management experience at global, regional, and local levels. Matt has led a variety of businesses including Philips, IKEA, De Beers, Unilever, Bacardi/Grey Goose, Kraft, and more, and is now overseeing the Shell business as well as the operations of M/H VCCP New York. Jonny started his career in Europe, before heading to Japan where he ran the planning the departments at TBWA and BBH, and opened the Japanese location of Naked. His experience also spans into China, Korea, India and more on brands such as EA, Coke, Axe, Levis, Dyson and more. Jonny is an expert in gaming culture, and on the side, he runs a karaoke business called Lucky Voice. Lucky us! George is a 3rd generation San Franciscan, who has spent the past 12+ years leading finance at advertising agencies here in the city by the bay. George has held posts as VP / Director of Finance and CFO at MRM, McCann, Agency 215, and Grey San Francisco, and brings a wealth of finance knowledge to M/H VCCP, as well as a keen interest in growing oversized pumpkins. Alexis joined us from Heat where she worked the front lines of new business with Deloitte Consulting, bringing opportunities to the agency in San Francisco, New York, Chicago and beyond. While her background is in Account Management at places like FCB, Eleven, and Venables Bell & Partners, she's always had a passion for agency branding and driving growth so we're excited to have her on the team and helping to raise our profile. Brendan has worked on a wide range of brand strategies and campaigns spanning broadcast, digital, earned and social media over his 17 agency years. His favorite work includes The National Basketball Association and Corona Light at Goodby, Silverstein and Partners; Launching the Volkswagen GTI and the teen anti-smoking “truth” campaign at Arnold; Virgin America at Eleven; and a global Olympics activation for McDonald’s at AKQA. Most recently, Brendan served as Executive Vice President at Edelman, the largest communications marketing company in San Francisco, and was responsible for the development of strategy and communications for clients including HP, Adobe, Starbucks, PayPal and Nissan. We're also excited to have welcomed Danielle, who joined us from VCCP London; Marianne who joined us from co: collective, and Esther, from Ogilvy in New York. Happy New Year! 360 million glasses of sparkling wine are consumed in the U.S. each New Year’s Eve. Copyright © 2018 M/H VCCP All rights reserved.